Give your casual wardrobe a stylish lift with this tunic from Fusion Beats. Fashioned using polyester fabric, this tunic will not fail to catch your fancy at a single glance. 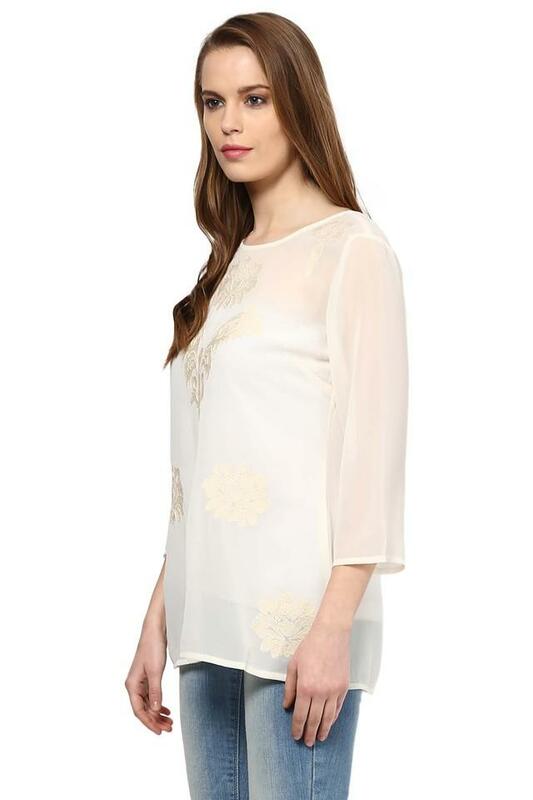 Featuring a round neck, three quarter sleeves and embroidered pattern, this tunic holds an elegant appeal. Get the perfect finish to your laid-back looks with this tunic. Complement this tunic by teaming it with a pair of jeans and ankle-length boots.